Placing Two AdSense Ads side by side can skyrocket your AdSense income, Many Bloggers are pocketing good amount of money every month by placing two adense units together. New bloggers usually find it difficult to place two Ad units side by side but it is very easy. This Tutorial is meant for Blogger users but the code can be used on any website or blog. 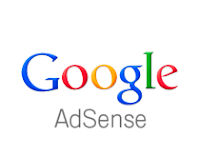 In this post I'll show you how to place two adsense ad together side by side. Before you can start following the below steps, I assume that you've already generated Adsense Ad unit code. If you don't know How to get Adsense Ad unit code then here is my Tutorial. The unit sizes which work Best when placed side by side are: 336x280 Large Rectangle, 300x250 Medium Rectangle, 250x250 Square etc. But you can also use 200x200 Small Square, 180x150 Small Rectangle, Skyscrapers, Link units. Once you have your Adsense code, follow the steps given below. Make sure that you place Adsense code on specified places before saving. Step 1: From your Blog Dashboard, Go to layout. Step 3: Place the code into the window. Step 4: Replace ADSENSE CODE 1 and ADSENSE CODE 2 with the Ad unit code. Step 5: Save the Widget and Done. Now the ads will start appearing together side by side, But remember you cannot place more than 3 Adsense for content ad units on one page, So be careful. Hope this Tutorial was helpful, Please leave your comments below and also share the post.